The idea behind Murrieta water saving tips is about more than money. It's about protecting our ecosystems and minimizing the possibility of a frustrating California drought. Here is a list of services you can initiate to reduce water use. If you use them on a steady program, you're going to see a more efficient bill and do your part to promote better community. Make sure to get the entire family involved and regularly check how these Murrieta water saving tips impact your year-to-year water usage. Before washing, scrape dishes rather than rinsing them. Don't overseed lawns in the winter. To stop running water until it gets hot, install an instant water heater near the kitchen sink. Decrease outdoor water use during Murrieta rainy seasons. Weeds fight for light, water and nutrients. Weed them out regularly. During the winter, water only every five days and, in the summer, every three days. Fertilizers consume water that could be going to plants. Check instructions and use only the recommended amount. Using a nozzle on your hose can save up to 100 gallons of water every time you use it. Save water and retain nutrients. Cook food is as little water as manageable. When cleaning out fish tanks, save the water for non-edible plants. The same applies to water from the pet dish. Sweep the sidewalk, driveway and patio, instead of hosing them down. Set water softeners to minimum refills. It will save not only on water, but on chemicals and energy. Inform Murrieta water providers if you see broken pipes, sprinklers or leaky hydrants. When you replace the refrigerator, get an air-cooled appliance. Put empty barrels, buckets and cans out during rainfall. That water can be applied when you irrigate. Go with water and energy efficient appliances with features like cycle and load size adjustments. Throw unused ice cubes into plant pots, on the lawn or in the bushes. Don't run water when washing dishes, hair, showering or brushing teeth. Use water to rinse only. Wash foods in a pan or bowl of water as opposed to running the tap. Defrost food overnight in the refrigerator instead of running water on them. Put a one gallon bucket under the shower. If it fills the bucket in under 20 seconds, get a water efficient model. From promptly fixing leaks to using the right pan to cook, utilizing Murrieta water saving tips will make you a more conscientious resident. Fall is here, and that means the holidays are closing in! Is your family ready to welcome friends and family visiting your home? It may seem like you have a lot to do, but don’t fret; We’ve included a quick list of things to take care of before your guests start heading your way! Appliances: Make sure that all of your appliances are in good working order. One of the last things you’ll want to deal with when you have a house full of guests is a dead dishwasher or a washing machine on the fritz! Make some room: Clean out and organize the dressers, closets and night stands in the guest rooms to make sure that your friends and family feel comfortable and at home. Baby-proof for the little ones: If your home is not already baby friendly and if small children will be coming to visit, take some time to ensure that all outlets are covered safely, edges and corners are padded, and that valuable collectibles are out of harm’s way. Is the fire burning? : Check your fireplace and chimney to make sure they are clean and in working order. Getting together around the fire with family and friends is a great way to spend some time sharing stories and reminiscing. Squeaky squeak: Walk through your house and check the windows and doors. If the hinges, doors or latches are sticky or squeaky, make the quick and easy repairs before your family or friends arrive. This will ensure your privacy and theirs! We hope this list is helpful for you, and we hope you’ll give us a call at 951-595-7650 if you need any additional information about your home or real estate! We love to help and very much enjoy being your friends and local Real Estate Team. House hunting is an emotional process. Buyers prepare for marathon home viewing sessions armed with their lists and descriptions of a dream home, but the reality is falling in love with a particular property will have little to do with these lists. To enhance buyers’ visceral connection to a home for sale, sellers need to be proactive about preparing their home. The property should grab potential buyers and lead them to their “I could live here” moment. Stuff tends to expand according to the space available, and nowhere is this truer than in a home occupied by property owners for a long time. De-cluttering is a painful and complicated task because it involves discarding, donating or storing treasures accumulated over a lifetime, but it must be done. Look at every piece of furniture and decorative item and segregate those that should be discarded. Make sure to get rid of this pile quickly. Arrange to have donations carried away sooner rather than later, and pack away items that are designated for storage. De-cluttering will open up the space and make staging the home easier. Dirt happens no matter how regular the maintenance schedule was for the property. Buyers are turned off by dust bunnies in the corners and any hints of a pest infestation. Engage the services of professional cleaners if you have to, but the house must look clean, smell fresh and feel inviting. Fresh paint and new flooring will root out decades of accumulated dust and odors, and potential buyers will sense the clean factor within the first 10 seconds of entering a home. Buyers who can be enticed into seeing themselves as the new homeowners will arrive at a buying decision sooner. This is difficult to accomplish if the property for sale displays your unique and personal flourishes, which may include that extensive collection of taxonomic marvels. It is difficult for buyers to imagine themselves as the new lords of the manor with life size portraits of the seller’s family staring at them. So pack up the personal photos, precious memorabilia and store anything that could be viewed as offensive. Homes for sale are staged to focus on their best features. Natural light appeals to almost everyone, so use the home’s floor-to-ceiling windows as a focal point. Replace heavy drapes, clean windows until they shine and use furniture and décor sparingly to show off the space. The psychology behind minimalist decorating in home staging is to create an environment where potential buyers begin to imagine their own furniture in the house. When they whip out a tape measure or start diagramming on the seller-provided floor plan, it is safe to assume that in their minds, buyers have taken ownership of the property. Mirrors are important devices in home staging. Not only do they add light and expand visual space, mirrors are also visual aids that will help buyers see themselves in the home. Strategic placement of mirrors in the foyer will have an impact on buyers’ perception as they enter and leave the property. Home staging is a strategy that will sell your home sooner while getting the best price possible. Please enjoy this quick update on what’s happening this week in the housing and financial markets. Two key measures show strength in the industrial sector. Production is up, and manufacturing is solid. Good economic news can be bad for rates. October consumer sentiment is at a recovery high. Stronger jobs and lower gas prices get credit for the boost. High confidence could mean more home buyers. The Consumer Price Index, a measure of inflation, is up marginally. Still below the Fed's 2% target, low inflation supports a delay in Fed rate increases. September sales of both new and existing homes were improved over August's numbers. Existing sales hit a one-year high, despite the usual September decline. First time buyers still account for just under one-third of the market. Economists would like to see first-timers at about 40%. Interest rates recently hit the year's low. Lower rates can improve affordability for buyers who take action now. A party of economists was climbing in the Alps. After several hours they became hopelessly lost. One of them studied the map for some time, turning it up and down, sighting on distant landmarks, consulting his compass, and finally the sun. At last, he said, "Okay, see that big mountain over there?" "Yes," answered the others eagerly. "Well, according to the map, we're standing on top of it." In the good old days, The Multiple Listing Service was a members-only subscription with each page marked confidential even if the information was outdated by the time the publication reached users. The information was guarded by gatekeepers, the real estate brokers and representatives, who doled out the data on an “as needed” basis to the true end users: the homebuyers. It is difficult to imagine the real estate market functioning smoothly without the digital devices, connectivity and public access to information that characterizes this sector today. The Internet caused a seismic shift in the way many businesses are conducted, but the changes in home selling and home buying processes were nothing less than revolutionary. At first, real estate professionals resisted open access to the MLS, but tech entrepreneurs designed websites that included most of the MLS information. Some websites were crowd sourced, democratizing the process even more as home sellers, landlords and property managers could post their own information and expect to generate hits and inquiries quickly. While not entirely a new concept, for-sale-by-owner became a thing, pushing the licensed real estate professionals further into the fringes of the market. Potential buyers used every resource at their disposal to locate, research and compare properties prior to meeting with a broker or eschewing broker services entirely. Real estate offices had no other choice but to embrace technology. In a highly competitive market, information is currency for buyers, sellers and everyone involved in it. Access to the most current listings isn’t the only concern for homebuyers. Demographic data, history of the property and comparative information with similar properties can factor into the buying decision. These days, most of this information is available online on websites of county property appraisers, real estate companies and private data aggregators. Home buying is a complicated process especially for the uninitiated. You need a plan that clearly defines what you want out of the transaction. With so many resources available, consider advocating for yourself by digging up information relevant to your home search. Financial information – Understand your own financial data. The type of property you can buy depends on your finances: how much down payment you can make, how much mortgage you qualify for and the size of your post-closing renovation budget. Knowing the seller’s financial position can also be a bargaining chip. For instance, sellers on the verge of defaulting on their mortgage may be more receptive than others to lowball offers. Life changes - Divorce, death and job changes could make sellers more inclined to accept discounted offers. These details may be found by checking the sellers' social media updates. Property Information – If the property appraiser’s website is online, most property and ownership details should be available from here. Neighborhood details including property values, features and owners’ names are part of public records and would be available on industry websites. Home buying has become a transparent process with many ways for buyers and sellers to touch base and negotiate; however, this does not eliminate the need for real estate specialists. This process is subject to stringent regulations, exacting paperwork and other legal concerns. It is in your best interest as a buyer to have a broker on your side. After last week's plunge, jobless claims rose less than expected this week. Labor is key to Fed decisions, and low unemployment can lead to higher rates. 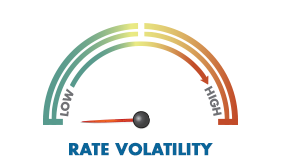 Rates are still settling after anticipation for and reaction to last week's Fed announcements. Still, they remain in the narrow range seen in most of 2014. Three separate reports show growing strength in the U.S. manufacturing industry. 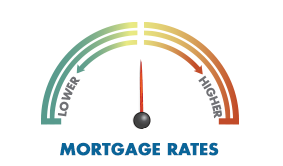 As the economy continues to strengthen, rates could increase. New home sales surprised with an 18% climb in August. Sales hit the highest level since May 2008. New home sales account for about 10% of the market. In contrast, August's existing home sales fell slightly. Overall they continued the summer's steady pace. Rising prices may be pushing investors out of the market. Housing confidence is at its highest level since January. Of the groups surveyed, millennial renters are the most confident in their future ability to own a home. A man walks into a New York City bank and says he wants to borrow $2,000 for three weeks. The loan officer asks him what kind of collateral he has. The man says "I've got a Rolls Royce. Keep it until the loan is paid off." The loan officer promptly has the car driven into the bank's underground parking for safe keeping and gives the man $2,000. The man answers, "I had to go to Europe for three weeks, and where else could I store a Rolls Royce that long for ten dollars?" The Labor Department's monthly job openings report showed little change in July. Fed policy is likely to remain on its current course in response. Consumers charged more to credit cards and financed more autos in July. Generally, increased borrowing shows confidence in the economy. At the same time, U.S. households have stashed $2.15 trillion in savings, about 50% more than five years ago. Cash sales as a percentage of home purchases continue to fall. The rate is at the September 2008 level and likely is a result of the dwindling REO supply. A typical seasonal slowdown is showing in the Fannie Mae household survey and mortgage application index. Yet rates remain very low, and affordability still reigns. Almost half of millennials say they expect to buy a home in the near future. 97% of teens expect to become homeowners one day. The businessman said, "Just put them in an envelope and mail them to the Internal Revenue Service. Write on the envelope, 'Now, you have everything.'" As we continue to move through the economic recovery and the improving housing market, several new terms have arisen to describe ones financial position as it relates to a real estate purchase. One of the those new terms is "Rebound-Buyer." So what is a Rebound-Buyer? A rebound buyer is one that has experienced a significant financial event such as a bankruptcy, foreclosure and/or a short sale in the past and has met the minimum requirements and wait periods to purchase a home again. Many former homeowners have been told they will never be able to purchase again after such a significant financial event and the corresponding credit damage. This information is false and lenders all over the country are welcoming you back as clients and new homeowners again once a few terms have been met. Waiting period for FHA = 36 months, 3.5% down. Assistance available. Waiting period for FHA = 24 months, 3.5% down. Assistance available. These are just the basic overlay wait period time frames. These can and will change as time moves forward and more and more new loan programs are rolled out. We have helped dozens of rebound buyers get back into a home again. We have the experience, skills and expertise to get the job done for you and your family. It's important to stay in touch with us and get regular updates if you are planning to purchase now or in the future. IT CAN BE DONE! Contact us today and let us evaluate your situation and send you to one of our recommended lending professionals.